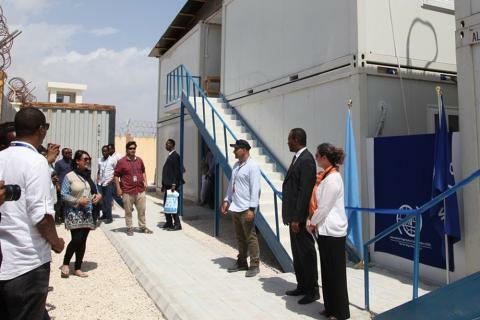 Mogadishu – The International Organization for Migration (IOM) this week (19/12) opened a new main office in Mogadishu, constructed after the request of the Government of Somalia to support ongoing migration management programmes in the country. Following International Migrants Day, IOM staff members, together with the Somali Government, gathered to celebrate this momentous event. IOM is among the first UN organizations to establish a head office in Mogadishu, to increase the presence on the ground in Somalia while downsizing its (Somalia) office in Nairobi. 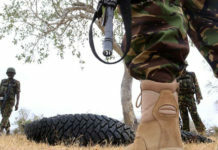 An increased presence in Somalia will enable a closer cooperation with government and community partners and an increased response time to meet operational needs. IOM has been operational in Somalia since 2006 and is currently present in all six states. Over the past 12 years, IOM has supported and led humanitarian response, community-based recovery and migration governance initiatives. With an annual budget of more than USD 50 million, IOM Somalia currently implements 40 projects funded by 25 different donors, aimed at offering life-saving assistance for migrant communities. The new office in Mogadishu will serve as a hub for all programmes and support units and provide working space for 200 people (IOM and other agencies) and 28 accommodation units.